Worldwide, financial institutions turn to International Vault for the highest level of security available today. 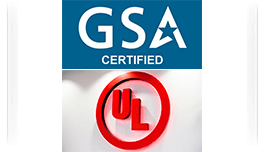 Our modular vault solutions are Underwriters Laboratories (UL) Certified and General Services Administration (GSA) Approved. 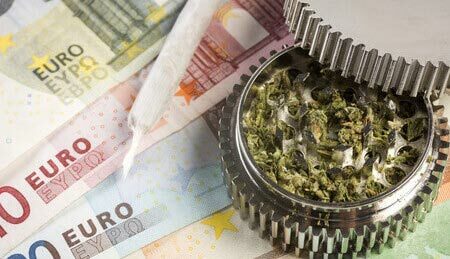 Pharmaceutical and Medical Marijuana Manufacturers around the world rely on the security provided by International Vault. From the Pentagon to local police and correctional facilities, our modular and custom vault solutions are exceptional. At International Vault, Inc., we solve one problem: keeping your wealth and sensitive possessions secure. From precious metals and jewels to military munitions, we have custom and modular solutions that meet the needs of the largest financial institutions, the most discriminating estates, and even the security demands of the Pentagon. 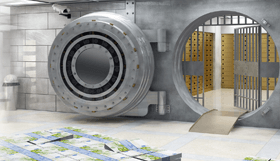 Cost-effective pricing, along with the highest quality standards - including a GSA approval rating and UL underwriting- make International Vault the leader in modular vault technology. Why choose between a secure bland box and a luxury statement for your estate or financial institution? When you choose International Vault, our modular, customizable solutions provide hardened security without scrimping on the aesthetics of artful presentation. To learn more, call 844-311-3132 to speak with one of our Vault Architects, or complete our contact form today. At International Vault, we protect more than wealth. Military, Police, and Correctional Institutions rely on our affordable munitions stations and modular gun vaults. Whether your need is to store 30 rifles or 3000, we have a field proven, General Services Administration approved vault waiting for you. Visit our Military Applications page to learn more. Introduced by the Government of Canada in 2017, Bill C-45 is designed to legalize the cannabis industry by July of 2018. A step beyond medical marijuana, the new law enacts provisions for mainstream production of cannabis for recreational use, including standards, security requirements, packaging, and the like. At International Vault, we are positioned to offer Canada's new cannabis industry time tested security products including, but not limited to: wire caging, mesh partitioning, vaults, vault doors, day-gates, and more. Read about the new legislation and International Vault's response in our articles Legalized Cannabis in Canada and Changes in Cannabis Regs in Canada. At International Vault Inc., we have the answers... Visit our Blog Page to read more.